You are about to become the most popular person at the weekend BBQ potluck. 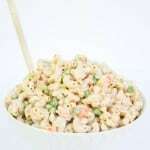 Because every time I bring this creamy ranch pasta salad, it is one of the first things to go. I love a cold pasta salad next to my burger or hot dog on a hot summer day. But I’m a little bit of a pasta salad snob. I hate when they’re too vinegary, or too sweet, or too…mushy. 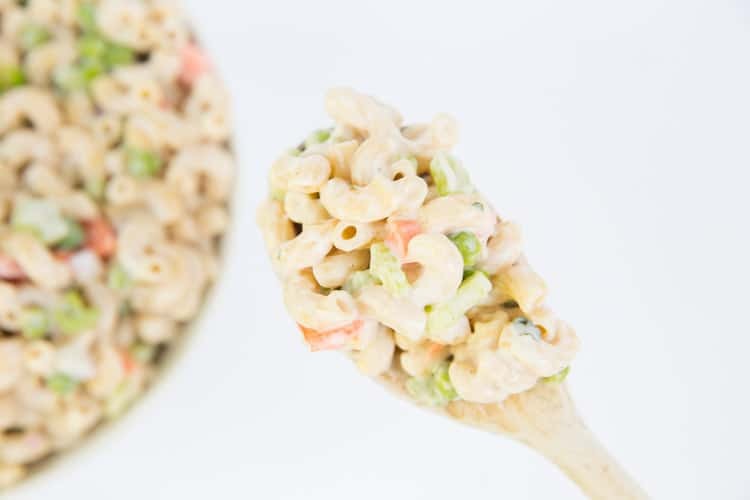 This creamy ranch pasta salad is the queen of all pasta salads. 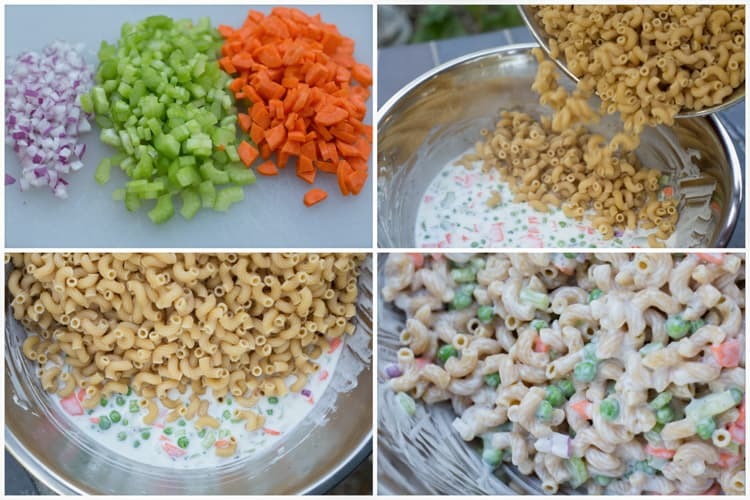 Perfectly cooked macaroni is mixed with crunchy carrots and celery, a little bit of red onion, and sweet peas that burst with flavor as you eat them. The whole wheat macaroni is tossed with my absolute favorite thing in the whole world, ranch dressing. I’ve used it in a dish or two. It is perfect for pasta salads! It’s cool, creamy, and full of herby goodness. I of course make my own ranch dressing, because homemade is way better than store bought. But if you’re short on time (or ingredients) you could just as easily use your favorite store bought ranch. 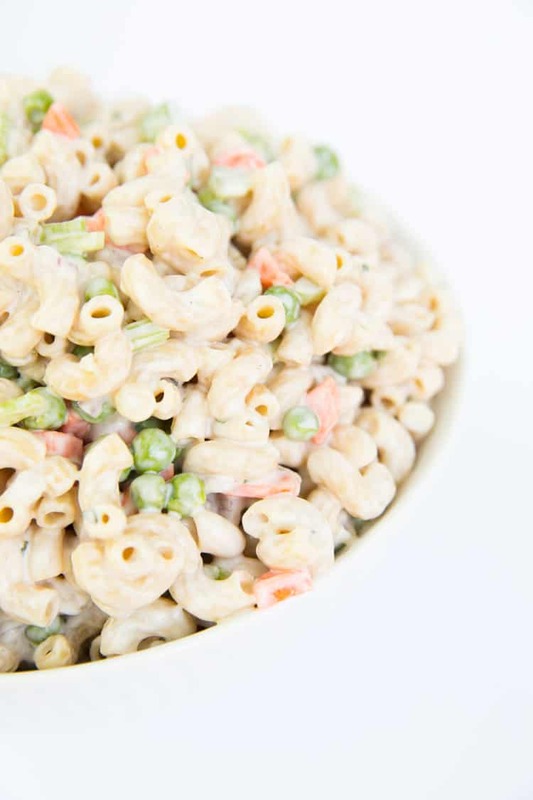 Bring this creamy ranch pasta salad to your Memorial Day Weekend BBQ. People will be begging you for the recipe. In a large mixing bowl, make the ranch dressing by combining the ranch seasoning mix, greek yogurt and milk. Whisk to combine. Place the mixing bowl in the fridge while you make the rest of the pasta salad. Cook the elbow macaroni in salted boiling water according to package instructions. Drain and add to the large mixing bowl with the ranch dressing while the pasta is still warm. Add in the carrots, celery, onion and frozen peas. Toss to combine. It will look a little too saucy at first, but the warm noodles will absorb some of the dressing. Refrigerate for at least 2 hours until it is cooled. After it has cooled, toss it a few more times to evenly distribute the dressing. If needed, add in a little more greek yogurt and milk if the noodles absorbed too much of the dressing. Serve cold or at room temperature. Will keep refrigerated in an airtight container for 1 week. Ooh I am CRAZY about pasta salads. I’m so weird, but when I go to a barbecue, I don’t go for the meat. It’s the pasta salad I want. :) Love how you used ranch dressing in this gorgeous salad. — My favorite! And this is totally amazing, because I just shared a burger recipe today and now you’ve got this beautiful salad to go with it. Awesome! I do love creamy pasta salad. I choose that over potato salad when it’s available. But it’s hard to find good creamy pasta salad like my aunt used to make. This one, however, looks irresistible! I think I will make this for our Memorial Day cookout. LOVE the use of greek yogurt in here Natalie! Although I don’t share the same love of ranch, I don’t mind it in certain things. I’ve had it in pasta salad before and it was awesome! 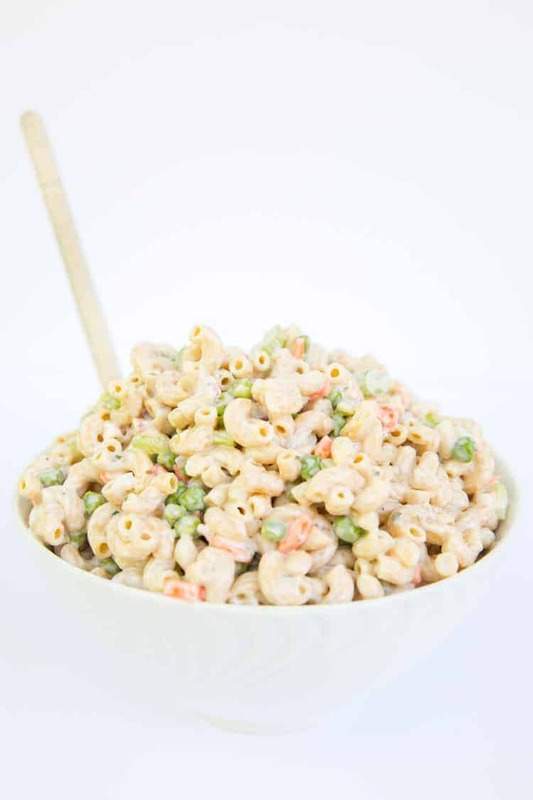 This pasta salad looks like it has great texture with the veggies, noodles and creamy dressing! Totally agree with you by the way of not liking pasta salads that are too sweet ;) Pinned! Ooh, yes please! I want to be that most popular person at the BBQ. Great, useful recipe that’s both simple and tasty. ohh hayyy pasta salad!! lol great minds, right? this looks crisp, classic, and delicious Nat – love the ranch dressing for some added pizzazz! It looks creamy and so delicious! YUM. Mmmm…I love pasta salad! This looks really good! That’s one of my favorite things about summer, all the yummy salads! This is definitely the quintessential BBQ salad. I love, love, love Ranch dressing, so it probably goes without saying that I would totally fall for your salad, too :). And becoming the most popular person at our cookout wouldn’t hurt either, ha! Thanks, Natalie! I am much more a pasta salad girl than I am a potato salad girl, too. This recipe looks incredible!! I think I’m going to make it this weekend, even if we’re not headed to a BBQ. I’ll be the most popular person at our dinner table haha! Yep — I’d be allllll about this. I rarely eat meat at barbeques, actually — it’s all the side dishes that get my love and attention! Will have to try this! This weekend I’m having some friends over, this pasta salad is just what I need to make them happy! Looks delicious! I’m such a fan of cold pasta salads, too. I’ve been known to treat it as an entree and eat a huge bowl of it as my lunch/dinner. I could definitely do that with this one. Great pics! Yes, I’m so like you when it comes to a cold pasta salad…I’m very picky. This one looks delicious times infinity! Seriously I need a fork to dive in right now!! Ooooh! This looks so yummy! I’m not really a huge mayo fan so I usually don’t love pasta salads… but this one sounds right up my alley! in Explorer but looks great in Opera. 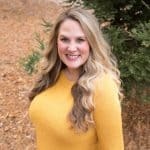 Do you have any recommendations to help fix this issue? I was so excited to try this recipe, the picture looks great! So, I followed the recipe exactly, but it just isn’t what I thought it would be. It took me only 20 minutes to make, but I just really was not impressed. I think it was the plain yogurt, i feel like if I used sour cream like the packet of ranch says it would tie the flavors together better. I’m very disappointed by its lack of flavors.